I very, very rarely use artistic photo filters. I have nothing against them, it's just not usually my style. 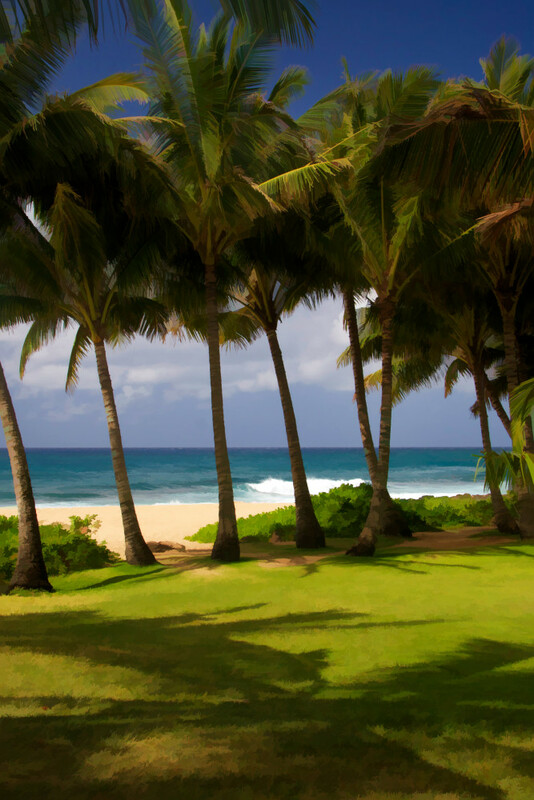 But the original photo of this small, beautiful beach on the Hawaiian island of Maui didn't quite thrill me. I tried a few photo "tricks" but it still didn't live up to my hopes and expectations for it. So I decided to give an artistic filter a try because I do love art, and really, why not? After trying different options for quite a while, I created this image, which achieves the effect I wanted from the photograph in the first place: a serene spot where I can kick back, knock off the flip flops and enjoy life. So what if it's not a traditional photo, it makes me happy. And I hope it does the same for you. Anyone for a daiquiri?